During any or all of our vegetation monitoring cycles, I always look for something new in the ponds. Mostly, I do this because it is not a given that I will get a complete picture of the plant community in any of the “transect” points. So, it behooves me to look around at the surrounding areas when we are tallying up each sample plot. This last cycle reminded me of the blessed nature of natural “recruits”—in this case, Leersia hexandra or commonly called: southern cutgrass. All the lovely short green stuff in the foreground is Southern cutgrass. The seedhead on the Leersia hexandra plant is a good giveaway as to its identity. 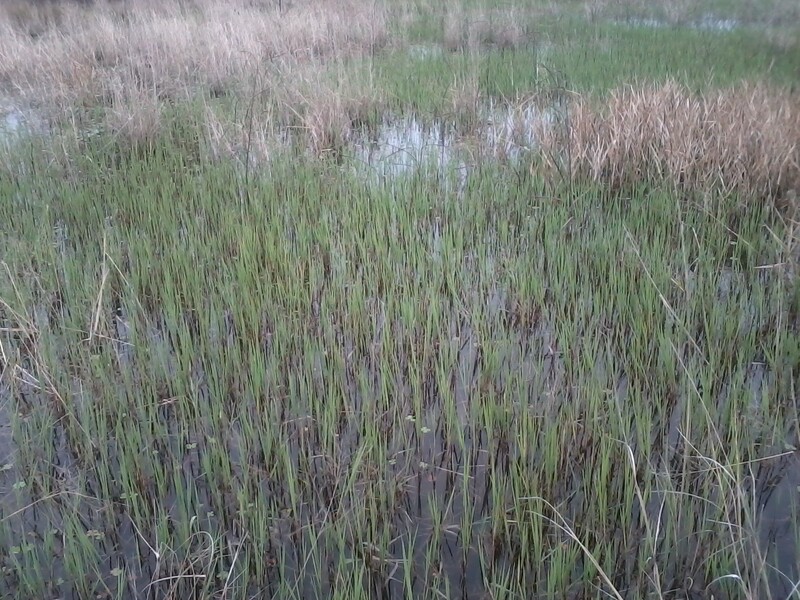 Needless to say, after observing this community dynamic, I incorporated Leersia actively into Phase 2 and 3 of the wetland restoration at Sheldon Lake SP. And will continue to use it (and its cousins like Panicum dichotoflorum) in future phases of the project and other similar projects. 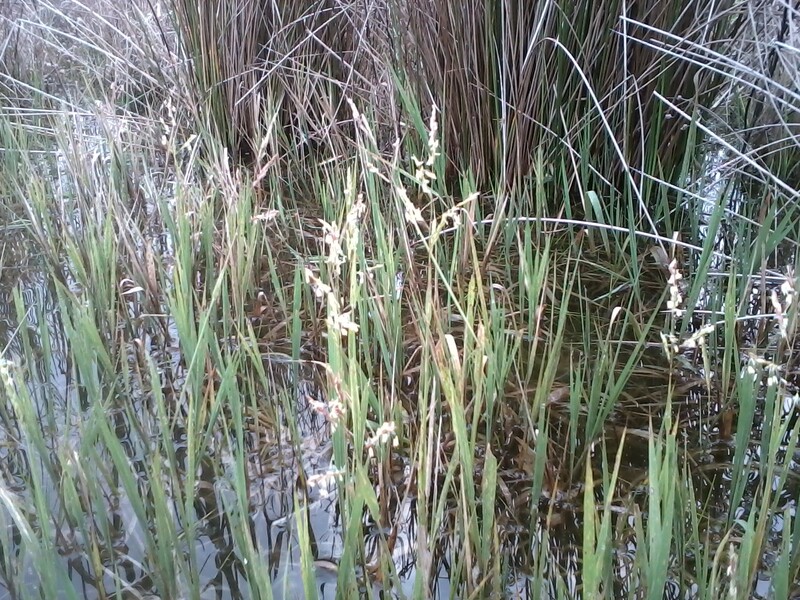 But for now, I was happy to see it proliferating on the inside edge of pond 11.